The gift will establish a new scholarship program at BCOM that will support 14 students with $100,000 over the course of their four years in medical school. An additional 19 students will receive one-time scholarships of $10,000. All students who are awarded scholarships must agree to complete a clinical rotation — hands-on medical training — at BCOM’s Southeastern New Mexico hub, which includes the cities of Artesia, Carlsbad, Hobbs, Lovington and Roswell. According to the U.S. Department of Health and Human Services, each of these cities are located in counties that are critically low on health professionals. The rural training experience is expected to inspire BCOM students to one day work in regions of the U.S. where there are little to no doctors. In addition, BCOM students who receive scholarships totaling $100,000 must agree to return to New Mexico after their residency training. If a career opportunity is available, he or she will practice as a physician for four years in one of the following regions: Artesia, NM; Eddy County, NM; Chavez County, NM; Lea County, NM; or Las Cruces, NM. The first cohort of scholars will be selected this summer, prior to the start of the 2019-20 academic school year. Scholarships will be awarded based on academic achievement, community service, personal integrity and character. Students will be able to apply the funds towards tuition, books, room and board and other educational expenses. The gift was secured by the Southwest Foundation for Osteopathic Education and Research (SWFOER). SWFOER is a nonprofit 501(c)(3) organization. Its charter and mission is to provide financial support to BCOM students, as well as to support medical and academic research initiatives. Located in Las Cruces, New Mexico, the Burrell College of Osteopathic Medicine (BCOM) was established in 2013 to improve the health of the Southwestern U.S. and Northern Mexico. 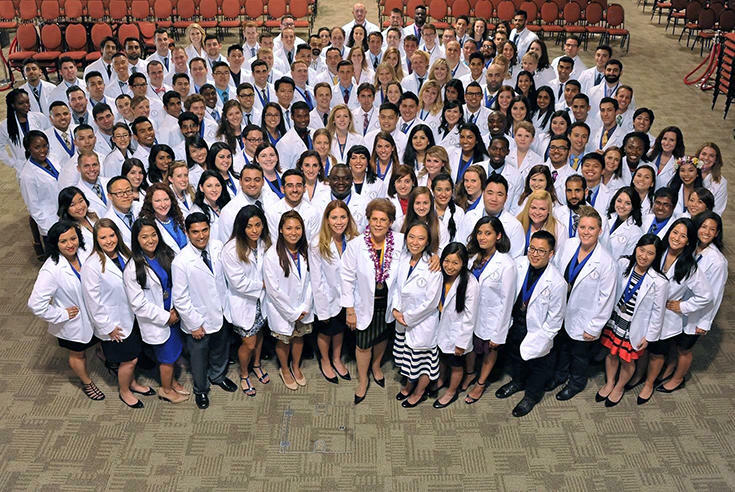 The four-year, private osteopathic medical school is student-centered, utilizing the latest medical education technologies and methods to ensure student success in all fields of medicine — from primary care to subspecialties like surgery, anesthesiology and emergency medicine. BCOM is a freestanding college located on the New Mexico State University campus. Learn more at bcomNM.org.